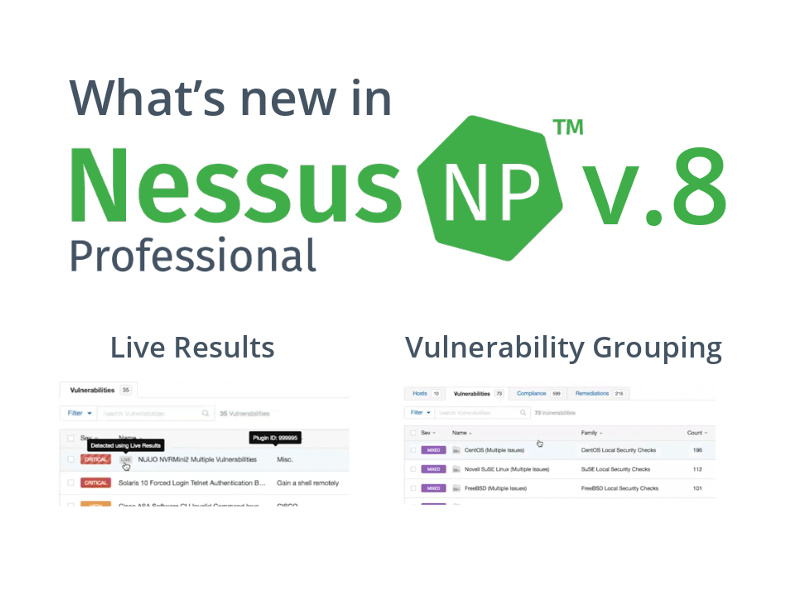 Today Tenable released a new version of their famous vulnerability scanner – Nessus 8. The existing scanner nodes don’t see the updates yet, but the installation binaries are already available. So you may try to install it. I didn’t want to wait until my Nessus server will offer me to update it, so I decided to re-install Nessus from the existing Nessus 8 rpm package. I didn’t need to input my license or change my password. The update/reinstallation process works great. 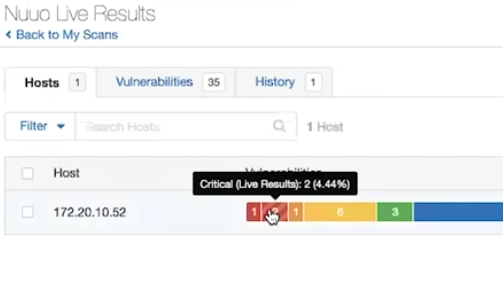 The main new feature is Live Results: vulnerability scanning without actual scanning. The idea is to split the data collection and the actual assessment. In this case it will be possible to figure out what new vulnerabilities have appeared on our assets after the update of the knowledge base. In fact, if we already know information about the hosts (including software versions) in the Knowledge Base (KB) from the last scan, why not to reuse this data? It’s not very hard from the technical point of view. Of course, Tenable most likely needed to change the process of plugin execution significantly and change the plugins itself. But for me it was not clear how Tenable will introduce this functionality in GUI. Because in existing Nessus Professional paradigm, there are no assets, dashboards. Only independent scans. How will they differentiate Live Results and actual results in this case? This and other images I’ve got from the product demonstration video at “Nessus at 20: Why It’s More Than a Product to Me“. If you choose Grouping, the vulnerabilities will be grouped by Plugin Family. Well, sometimes it might me more informative if you can see what types of vulnerabilities are the most critical. It is something similar with Snoozing. 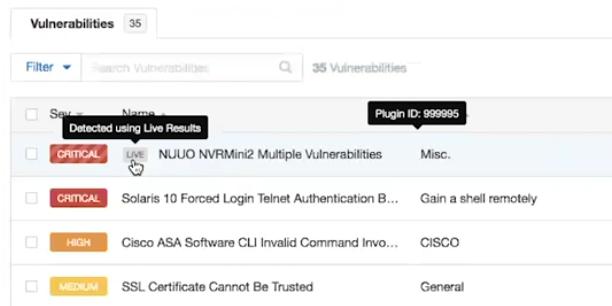 You can hide some vulnerabilities that you want to see in the results for some time and if you press on a gear you can actually see this hidden vulnerabilities. I can’t say that it is something shockingly good and I was waiting this for a long time. Basically because I am more oriented on processing raw Nessus data. But it’s great that Tenable added these options. 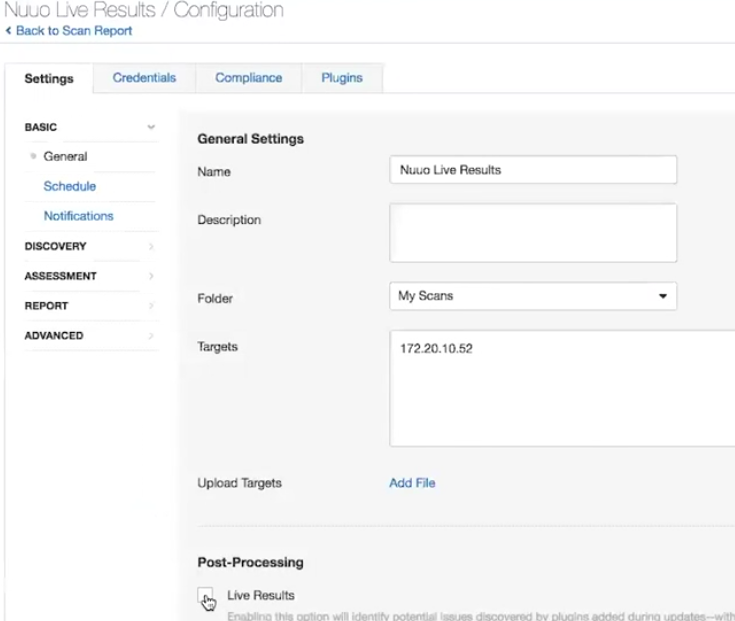 And it might be quite useful for those who works with Nessus GUI a lot. So, that’s it. In all other aspects Nessus 8 seems pretty much like Nessus 7. This entry was posted in Vulnerability Management and tagged Linux, Live Results, Nessus, Nessus8, Redhat, rpm, Tenable on October 25, 2018 by Alexander Leonov.